Property 3: Yosemite vacation rental 30 minutes from Yosemite Valley's main gate. Property 7: Peaceful Yosemite Pines Retreat, HUGE YARD, POOL, SPA, PLAY AREA and PONIES! Property 9: Cozy Cottage close to Yosemite, Beautiful Views, Hot Tub & More! Property 10: Beautiful 'Serenity Ranch' Mins to Don Pedro Lake! Property 12: Large private house close to Yosemite. In-ground Pool, Spa, and nice views. Property 13: Luxury Yosemite Log Cabin ~ 2 Miles to Yosemite Entrance~ Now Booking!! Property 21: Cozy Bear Hollow " Cozy, rustic charming, a great value"
Property 23: This quaint cottage is the perfect home base for your Yosemite trip. 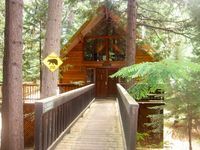 Property 26: Private 'Buckeye & Boulders' Cabin Near Yosemite! Property 33: Chipmunk Hollow - Get Your Nature On! INSIDE YOSEMITE! FORESTA, BEAUTIFUL VIEW into Yosemite Valley! Nice Log Cabin! Property 38: INSIDE YOSEMITE! FORESTA, BEAUTIFUL VIEW into Yosemite Valley! Nice Log Cabin! Property 40: Yosemite Falls - Get Your Nature On! Property 42: Centrally Located Country Cottage! Property 45: Our Yosemite Getaway - Get Your Nature On! Property 47: The Legacy - Get Your Nature On! Property 48: Lodging in Yosemite Park, Wifi, HOT TUB!! No Cleaning fees!! INSIDE YOSEMITE! FORESTA! Peaceful, Artistic, the Place to be! Property 49: INSIDE YOSEMITE! FORESTA! Peaceful, Artistic, the Place to be! 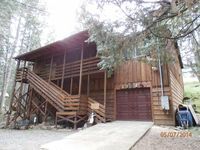 Property 50: Great cabin near Yosemite!